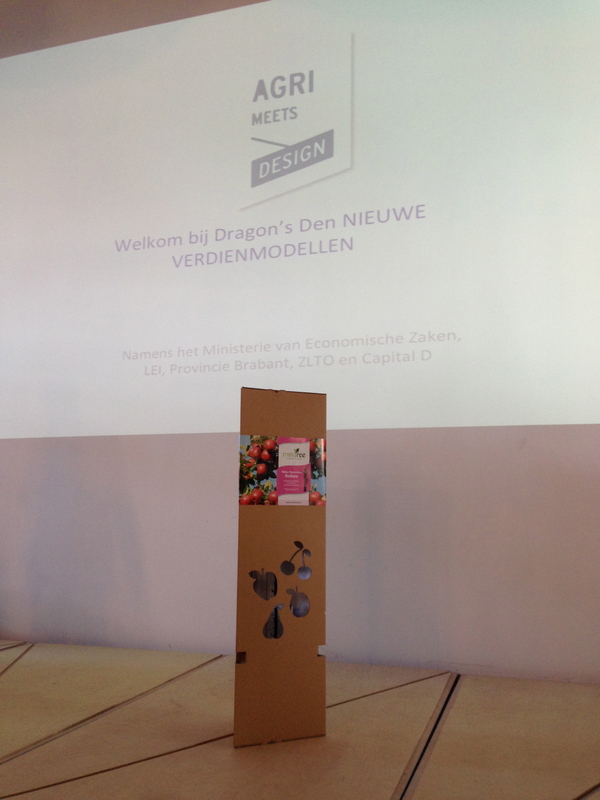 I would like to share an observation I’ve made on the first Agri meets Design event, which took place during this year’s Dutch Design Week. Overall, the event has achieved a fresh, tangible perspective for the encounter of agriculture and design, which looks very promising. Yet despite this promise, I also have a concern with regards to inherent tendencies in both agriculture and design, which need to be addressed before the connection can really be made to flow. Agriculture is an engineering-dominated arena, where existing decision making settings, and existing technology all too easily guide solution development. The new perspective brought by design has opened up for a more exploratory mindset: a big achievement! Most notable example of this from the event is the case of the Polderhack, where open data on food and agriculture was mashed into prototypes for applications addressing interesting use cases. Despite this achievement in opening up a closed conversation, design is not without its own defaults. Through listening to various people during the Agri meets Design event, and in attendance of a few other side events, I see that design tends to limit itself to the space of opportunity/problem definition: the space of art and invention (projects like the Solar Sinter). Yet, real impact lies in completing the chain of development to defining solutions for implementation and adoption, ie. innovation. In order to materialize the gains from the crossover between agriculture and design, I thus think there is a requirement for a new chain of collaboration between agricultural engineers and designers, so that thoughts from the space exploration can be transferred to results in the space of execution. Perhaps a design challenge for next year. I’d be happy to participate! In one way or another, we’re all linked to agriculture. Food availability is the basis for building any civilization. But what we’re also hearing is the challenges that agriculture has to meet. The world population is expanding and soon we’ll have to sustain 9 billion people. There is pressure on critical natural resources, like water, soil, fuel. And this is all happening amidst unprecedented change in the global political and economic landscape. The good news is that this challenge to agriculture is widely recognized. Issues on agriculture are climbing up the agenda’s in an increasing number of fora. The bad news is though that agriculture is stuck. And by stuck I mean that key players in the field are not reaching the level of dialogue that is needed to meet the challenge at hand. It’s industrial agriculture vs organic agriculture, pro-GMO vs non-GMO, omnivores vs vegans., agronomy vs farmers’ intuition, etc vs etc. With this form of conversation, solutions remain isolated as foreign languages and don’t connect. They’re caught inside the buildings where agriculture is professed, while the facts and answers to our problems are outside, where farming is practiced. Such a conversation landscape overemphasizes differences between tribes, aggravating opposing views, rather than enabling recognition and utilization of mutual strengths and gains from trade. Only conservative, incremental tweaking can come from this, while what the world acutely needs is a fundamental rework of how we produce and distribute food. Despite the negative effects of polarities in the system, you can also look at it in another way. Wouldn’t it be great if we can use this diverse body of experience and knowledge available and leverage complementarities, rather than allowing the usual patterns of interaction to emphasize disconnect? Wouldn’t that enable a broad sensemaking inquiry into the problems at hand in our agricultural system, rather than remaining at refinement exercises within our own disciplines? Wouldn’t vested views on problems then turn into challenging assumptions that are to be examined and tested? We need to create an enabling space where these new conversations can be started, conversations with ideas that will fire innovation; discipline to discipline, people to people. Ideas that progress from such conversations will likely create new paths of solution development, lowering barriers to adoption of new, game changing ideas by nature of having traversed that path. This is, I think, what we can expect when we build a space where agriculture meets design. Me and my colleagues will be active on the Agri Meets Design platform at the Dutch Design Week in October in Eindhoven, working with farmers and multidisciplinary design teams on experience and business model design. There will be many more equally excellent or even better events given by the partners who made Agri Meets Design possible! I hope to also see you there! Ping me on twitter if you’re interested to connect!